Debrah Farentino may not technically be a Watson but the character is the same. 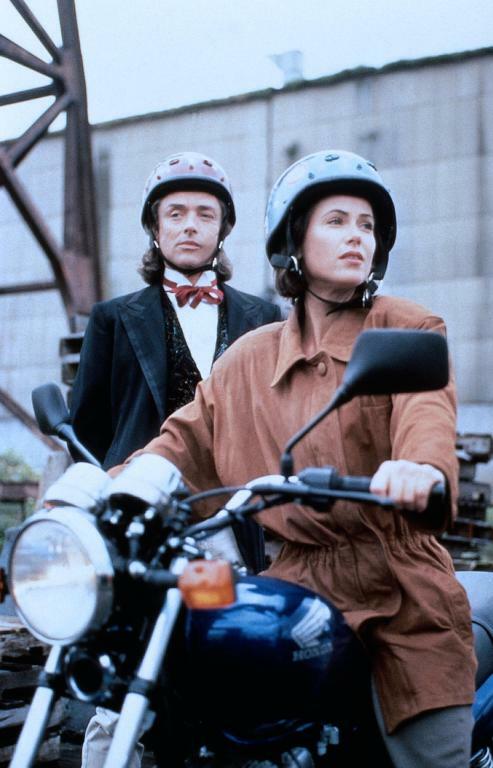 She plays Dr. Amy Winslow who happens to awaken Sherlock Holmes from his self imposed cryogenic sleep in the 1993 made for TV movie “Sherlock Holmes Returns”. Amy, of course, must take Holmes in and help him get through the transition into the future. They live at 1994 Baker Street in San Francisco. Anyone see the set up for a TV series here? While it takes the cryogenic sleep routine from the earlier 1980’s TV movie the rest of the film is a completely different story line involving a descendant of the Morality’s, some drug dealers bent on revenge and Holmes being introduced to some technologically savvy Baker Street Irregulars. 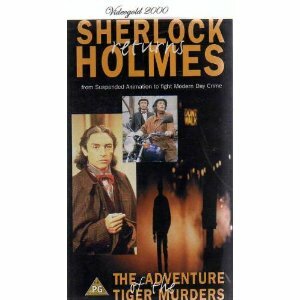 It really is an enjoyable TV film and I always thought it would have made an enjoyable series. Again, it’s not for the strict constructionist but for light entertainment. Anthony Higgins took the part of Sherlock Holmes and did an admirable job. Holmes has his technology trials with his new world but quickly overcomes. Higgins played the part of the villain Professor Rathe in “Young Sherlock Holmes” in 1985. It took me at least two viewings before I realized that if you watched that film all the way through the end of the credits you would find out who Professor Rathe really was. Farentino plays a good Watson to Holmes. She tries to figure him out much as Doyle’s character tried to, she is there when action is required (even if she isn’t sure why) and while a little dull witted (you’ll figure out the clues before she will) is an admirable foil. Born Deborah Mullowney, on 30 September 1959 in California she was educated at UCLA in acting. She has two brothers and a sister and two daughters, Molly and Sophie. In 1995 she was named one of the 50 Most Beautiful People in the World by People Magazine. She has been nominated for two Soap Opera Digest Awards. She is one of those actresses that finds constant work because of her hard work and talents. She has been in TV work constantly since 1984. Her most recent appearance was on the new Hawaii Five-0 this year.